With suppliers in Russia and Ukraine’s Black Sea regions cutting wheat prices, Asia is the likely beneficiary, Reuters reports. "They are offering very attractive prices, I think we will see a lot of business for Black Sea wheat done in Asia," a Singapore-based trade manager with an international trading company told the news agency. The low price offered by Black Sea producers put pressure on Australia, according to the report, which said wheat from the Black Sea is being offered at $210 a tonne, including cost and freight, down from $240-$250 a tonne two weeks ago. 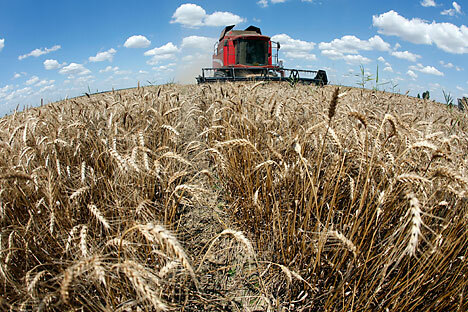 Australian wheat of a similar standard costs $245 a tonne C&F, the report said. Two grains traders told Reuters that Black Sea sales to Asia may rise to around 6-7 million tonnes in the year to June, 2016, which would be a two-year high, and up from an estimated 4-5 million tonnes in 2014/15.